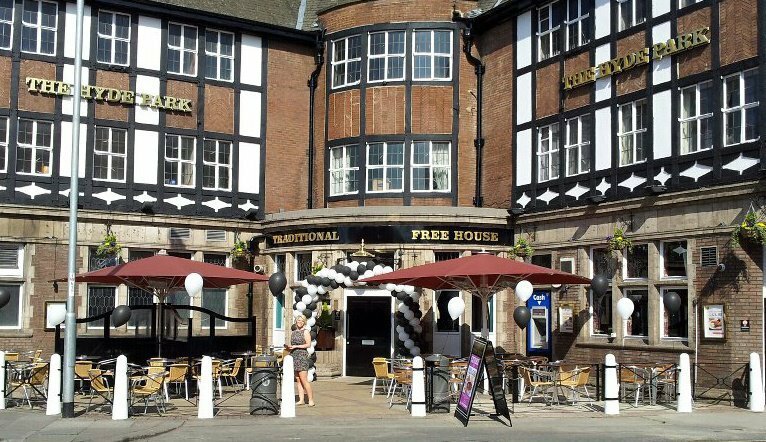 popular, has a friendly atmosphere and the drinks are cheap - what more could you want? Hyde Park Pub is big enough to hold a couple of hundred people, which is great because it means that even when it's very busy there is space to have a drink. Moreover, there is a large outside area at the front, with chairs, tables, and heaters for when it gets cold - which is the majority of the time. The pub has great drinks offers. This includes the popular £1 pint night on a Wednesday -- something that was beyond belief when I first visited the pub, especially coming from London where it's almost 5 quid a pint in a gastro-pub with uncomfortable seating and no atmosphere whatsoever. It should be noted, however, that Hyde Park Pub has recently introduced a £1 entry fee to enter the pub on this cheap night. 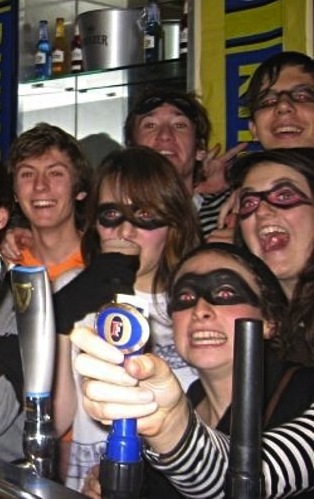 Another point to take into account is that Hyde Park Pub is a stop on the Otley Run - Leeds' infamous pub crawl. This can be viewed in a positive or negative manner. If you don't mind stepping over the regurgitated lunch of a 20 year old dressed as a giant baby, then you're fine. But it can be quite uncomfortable when 30-40 rowdy Otley runners come stumbling through the doors. It's at these times that queuing for a drink becomes a bit of a nightmare too. However, if you're not a grumpy git, then a group on the Otley Run can add atmosphere and make Hyde Park Pub a more memorable experience. The music is ok but is left to the risky choices of a jukebox which can produce some gems, but most of the time you're sipping down your Fosters to Backstreet Boys ft. The Spice Girls. There is a giant projected screen, as well as two TVs, which show live sport. And if football isn't up your street, then there is a pool table to keep you busy. 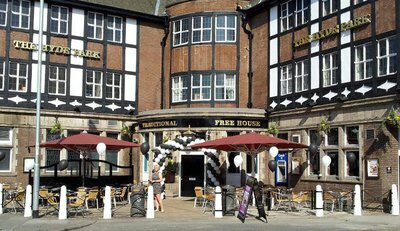 Hyde Park Pub is situated at the edge of student land in the Hyde Park area of Headingly. This ensures a significant turn out every night, particularly Tuesday and Wednesday. Cheap pints, always busy, and a good atmosphere - one will struggle to have a bad time at Hyde Park Pub. Where: The Hyde Park, 2 Headingley Lane., Leeds, England.